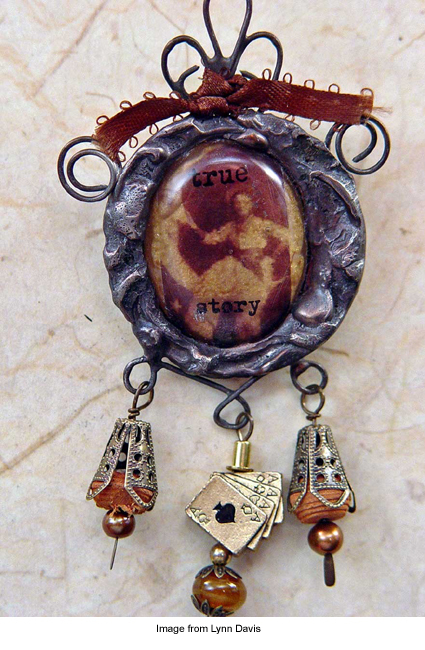 If you aren’t familiar with Lynn Davis and her “invented vintage and faux-tique” work, you are missing out! Lynn shares more about herself in Series #1 of Ask Me, Who Knows. Read more about Lynn and her work, then take a look at her Etsy shop. Hey, thanks for the mention of my work, that’s very cool! And I guess that means I need to move ahead to Part 2 of the “Ask Me, Who Knows” series, right?